Breakfast, as the saying goes, is the most important meal of the day. But when you’re a coeliac or gluten intolerant, it can be tricky thing to figure out what gluten free options you have. A simple fix for breakfast. 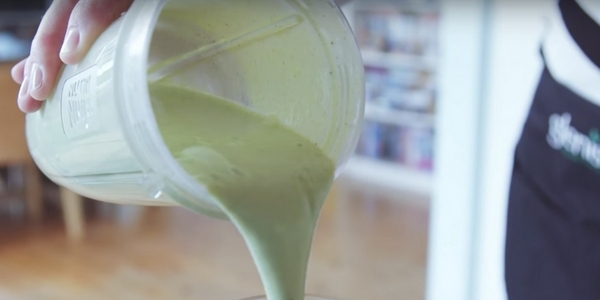 All you need is some milk or yoghurt to mix and you’re sorted! Ok, so yeah.. here’s the thing about oats – they DON’T contain gluten, but they generally get contaminated with bits of wheat and other gluten containing grains during growing and milling. So you have to really make sure that the manufacturer uses gluten free oats, which are very are carefully farmed to ensure there is no contamination with other grains throughout growing and milling. 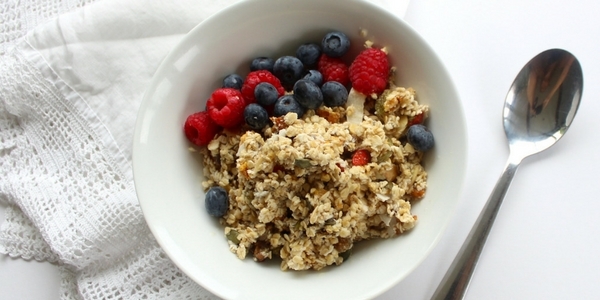 Lots of supermarket granola’s are high in sugar and other junk, so be careful. 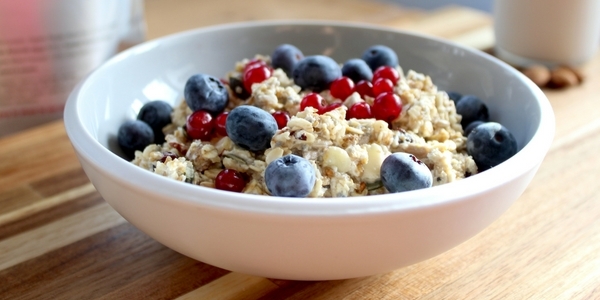 (check out this great article “Why your granola is really a dessert?“). 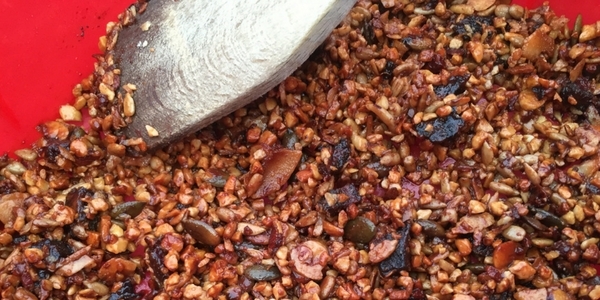 That said, we think that there’s always a place for granola – it’s really nice change. This seems to be all the rage at the moment. The only problem is that it does take a bit of hassle hunting down all the ingredients and mixing them yuorself. Fortunately we’ve come up with a convenient Gluten Free Overnights Oats package to cut out all the faffing around. You can’t beat a classic. Cook in milk or water and add some porridge toppers to shake things up. 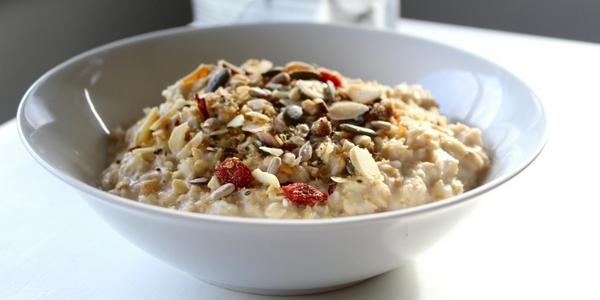 Yup, we have gluten free porridge oats. What if cereal is just too much for you in the morning time? Sometimes a bar that you can grab is the perfect way to go. 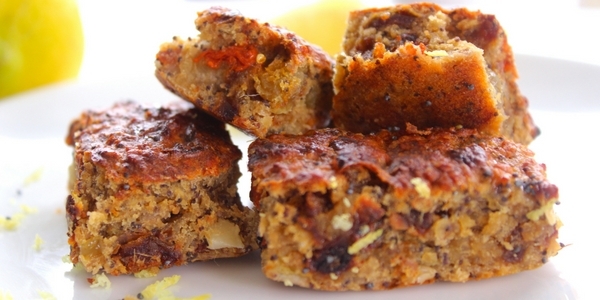 Check out our range of Gluten Free Bake-at-home bars, which are healthy, delicious and easy to make. We have loads of different flavours from lemon and poppy to berry and even coffee mix! So what makes Greek Yogurt special is that it’s higher in protein than normal yogurt, and so keeps you going for longer. Mix in some fresh berries and top it off with some Promix to have yourself a sumptuous breakfast meal. Smoothies make a great change, particularly when you’re in a rush and want to grab something to take with you! 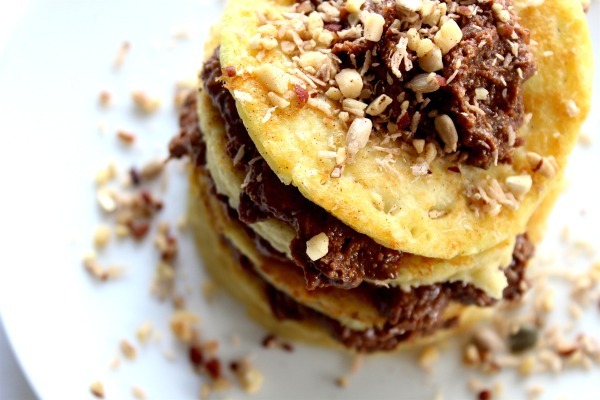 Check out our Hazelnut and cocoa spread which is perfect on pancakes. BTW – Check out the recipe for gluten free pancakes. 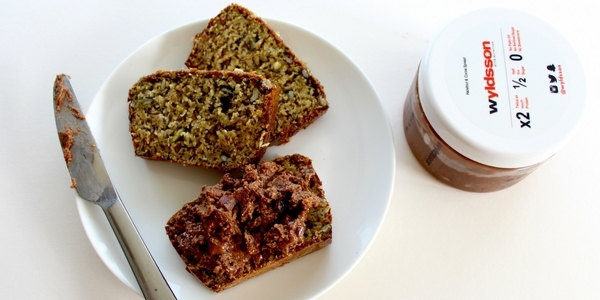 You’ve heard of porridge, but what about porridge BREAD? 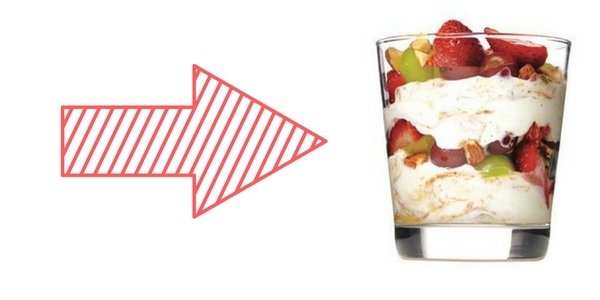 This layered parfait is the perfect on-the-run treat. 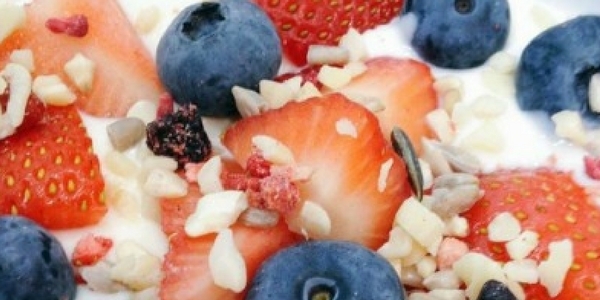 Chopped roasted almonds, strawberries, grapes, almond butter and natural yoghurt= breakfast paradise.